C/2014 Q2 is crossing a very rich part of the Milky Way in Cas at the moment. 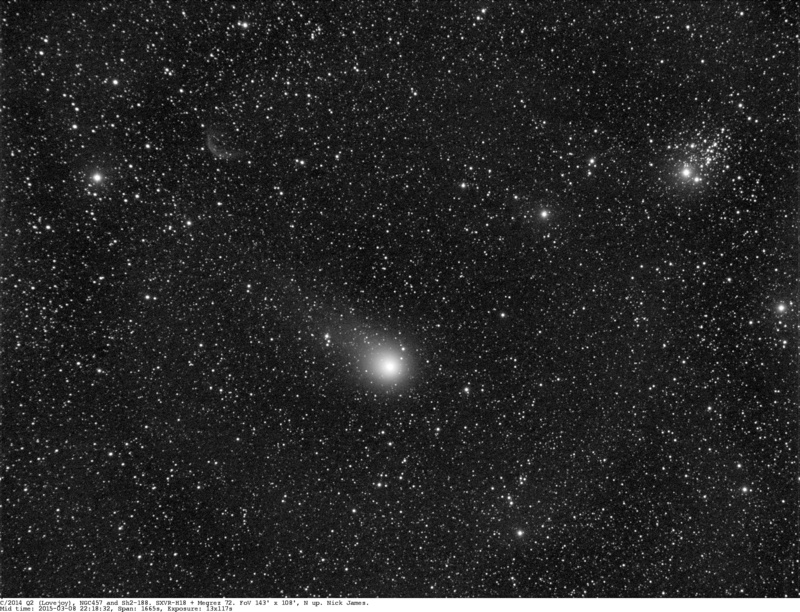 Attached widefield image from an hour ago shows the comet and open cluster NGC457 upper right. Upper left is the faint planetary Sharpless 2-188.